Did you know that the first issuers of prepaid cards thought that they would popular only with parents who wanted to give their kids a way to make purchases online? According to the LA Times, this initial idea eventually evolved into the release of prepaid business debit cards, and these sophisticated corporate tools surely are not kid’s stuff any longer. Many companies find that prepaid debit cards for business offer them an ideal way to protect and control employees who need to make purchases to get their work done. Reimbursing employees: Some companies allow their employees to make purchases out of their own pockets. Employees must fill out reimbursement forms afterwards. This can put a big burden on some workers and also generates a lot more work for owners and managers. Using business credit cards: First, your company has to qualify for credit which is not ideal for earlier stage companies. Then your company has to manage the interest, fees, and debt. Business credit cards can be expensive to use, and they may generate more business debt too. Low cost: With prepaid debit cards for business, you enjoy low fees. You also won’t have interest payments with prepaid business debit cards because they are not credit cards. Instead, you fund them from your bank account in advance. Accepted everywhere: The cards come with logos from brand-name issuers of business cards, so your employees can easily use them to buy what they need. Your people won’t have to wait for reimbursement, and you won’t have to deal with more paperwork. Expense control: Even though these prepaid corporate debit cards are as easy to use as a credit card, you can exert great control over the kinds of merchants that employees can use them at. For instance, if you only allow your techs to purchase supplies, the prepaid business debit cards will get declined at a restaurant or online video streaming site. Fast, online management: You can manage and view all expenses and declines from your dashboard. You can also transfer funds and set limits with a handy computer or mobile app. In fact, you can even apply and order cards online, you won’t waste valuable time when using prepaid debit cards for business. 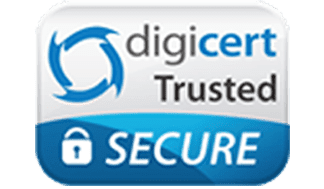 Naturally, you will want to make sure that your funds and business information stay secure online. Bento for business offers business Visa debit cards, so merchants will recognize and accept them, and you’ll be proud to offer them to your employees. As a prudent businessperson, you will be happy to find out that Bento has maintained an A+ BBB rating. All of the software and support that you need to manage and fund your cards comes with them, so there’s nothing else you need to buy. 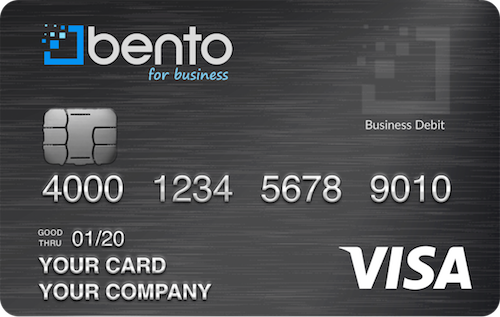 You can order Bento’s business Visa debit cards come in multiple monthly packages an are affordable for any number of employees. If you want to try out these business debit cards first, Bento offers a free trial that you can enroll in right now online. Start helping your business and your employees work more efficiently today. To learn more call us at 866.220.8455.